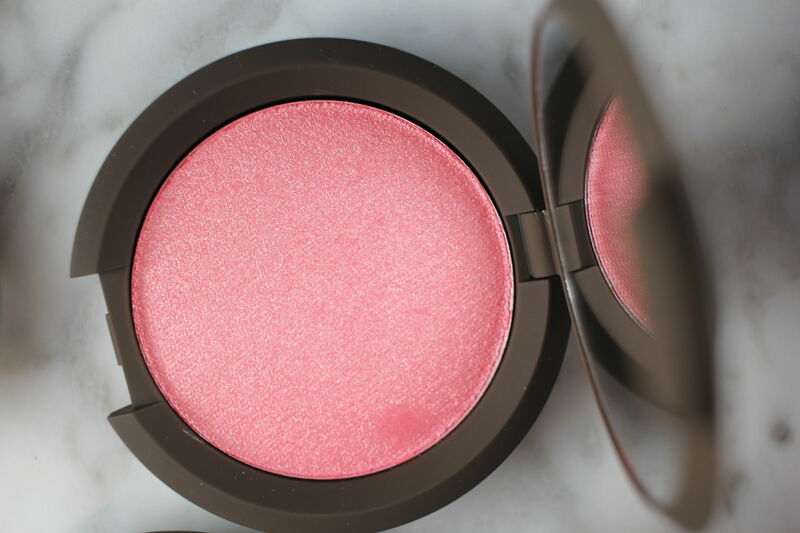 If I had to choose my favorite new beauty find in recent months my mind would go immediately to the Becca Shimmering Skin Perfector Luminous Blushes*. 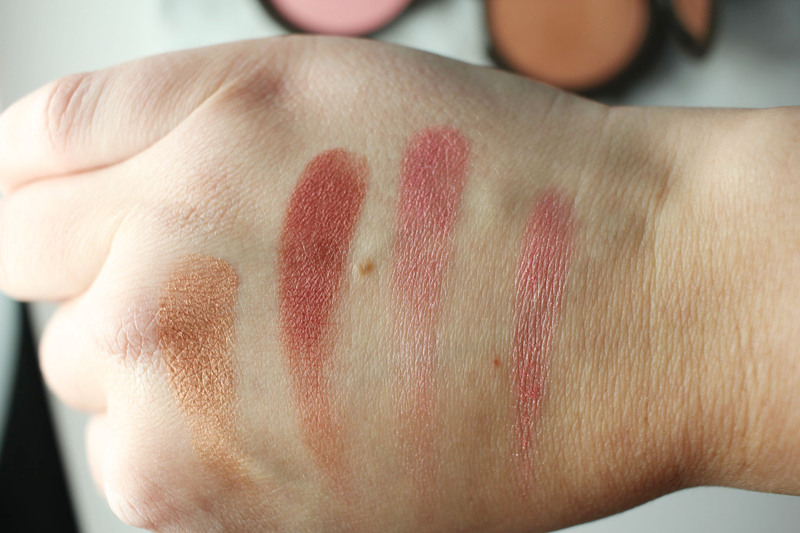 I reviewed two early release shades that I got my hands on early and you can read that post HERE but today I have the remaining four shades to share with you. I’ve owned these for a little bit now and I don’t think a single day has passed where I haven’t worn one of these shades. 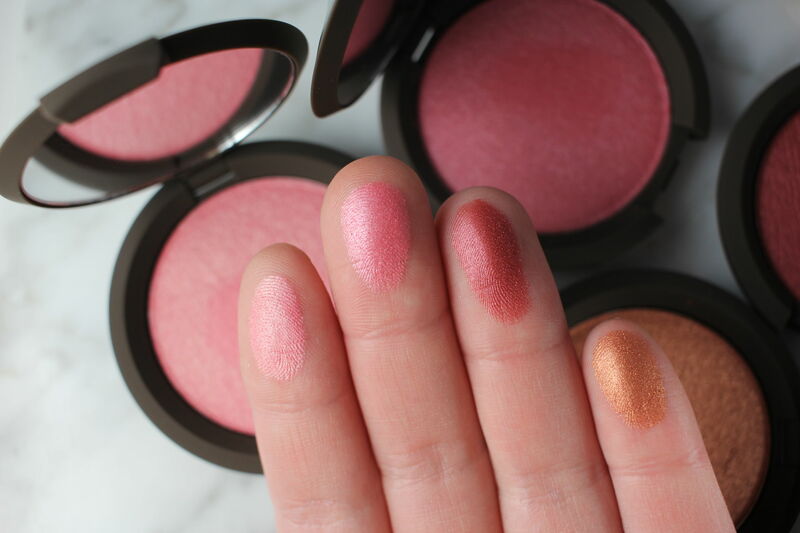 The Shimmering Skin Perfector Blushes are gorgeous, multi-dimensional, blushes that create a subtle, shimmering flush. 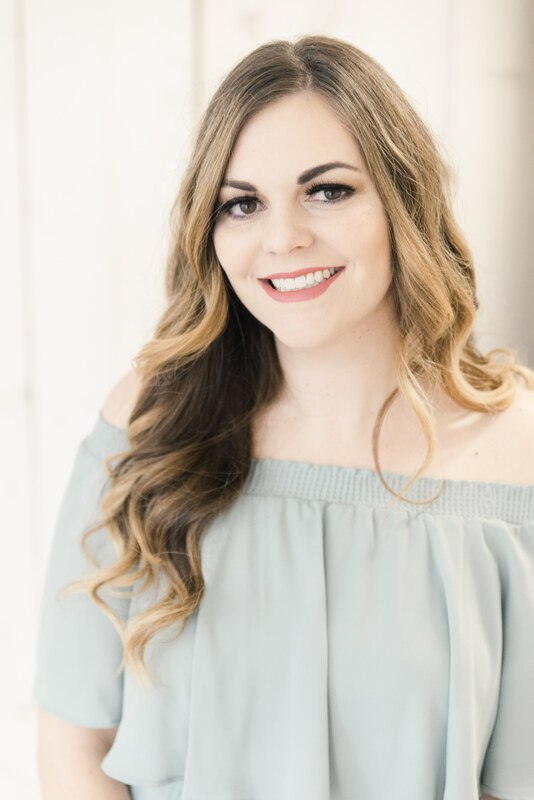 They are infused with the Shimmering Skin Perfector formula, if you’re not familiar that refers to the gorgeous goddess-like highlighters that Becca carries that are incomparable to an illuminator from any other line. These are pigmented to the max and you barely need a swipe of color to have a gorgeous glow of warmth and color on your cheeks. They look somewhat sparkly in the pan but it translates to the most beautiful soft shimmer on the cheeks. Camellia is the shade pictured above and is the most gorgeous ballerina pink. I have been wearing it frequently and it is LIFE. Literally so pretty and it goes with everything I pair it with. If I could only pick up one of the four of these shades I would probably spring for this one. I had to swatch these all for you just so you could see what you get from the pan when you very lightly put one finger into the colors. These are so vibrant, so pigmented, so smooth. Dahlia and Blushed Copper are absolute perfection and I have been using them as eyeshadow. I’m not sure if my fair skin could pull off these two shades as blush just because you barely need any at all and they’re pretty deep but wow do they ever shine on my eyelids! 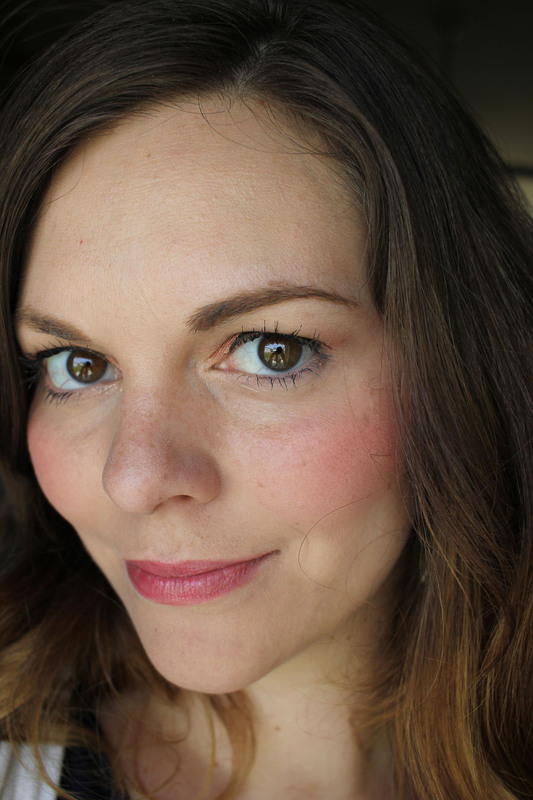 Pictured above I am wearing Foxglove in natural light and no filter/Photoshop. This photo doesn’t exactly capture how luminous and glowing this shade is but I was so excited to try it that I had to quick photograph it and I didn’t have my lighting set up. But it’s all good, I still think it looks amazing and if you want to see one of the shades under my ring light, check out this post. 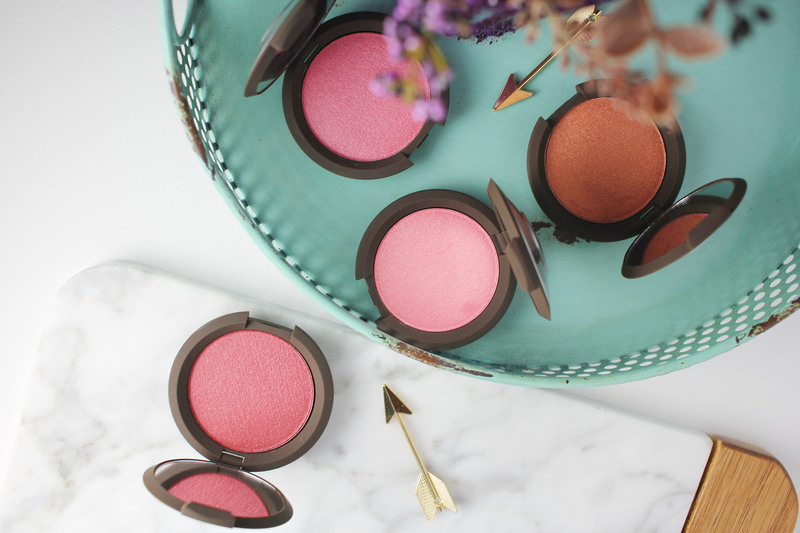 Love, love LOVE these blushes. Every single last one is a winner. If you can track these down at your local Sephora, you need to pick one out for yourself. I’ve always loved Becca as a brand, and if I had to pare down my blush and highlighter collection to just their brand, I wouldn’t feel like I was missing out at all. Each one of these shades is so special in their own right that you need to own at least one! On another note, I must be on another planet because the Becca x Jaclyn Hill Champagne Collection Face Palette is coming out soon at Sephora and I never even knew it was coming! It looks like Jaclyn came out with a new highlighter in a medium warm gold called Prosecco Pop, and there are two new mineral blushes in Amaretto (matte toasted almond) and Pamplemousse (matte warm coral pink) as well as a new luminous blush shade is Rosé Spritz (soft peachy pink with pale gold shimmer). I haven’t seen these shades as part of the line so I wonder if they are limited and exclusive to the palette. So neat! I’m definitely going to spring for this one. Have you seen these in store? Which one is your favorite? I’m trying not to look because I love everything Becca. But I peaked and your swatches are gorgeous! These are beautiful! BECCA makes the best blushes. Can’t wait for the LE stuff! Wow! Those gorgeous shades look really pigmented. These are so beautiful! Blushed Copper is exactly my kinda shade. Yeah. I pretty much want all of these for reasons. They are just so damned pretty. 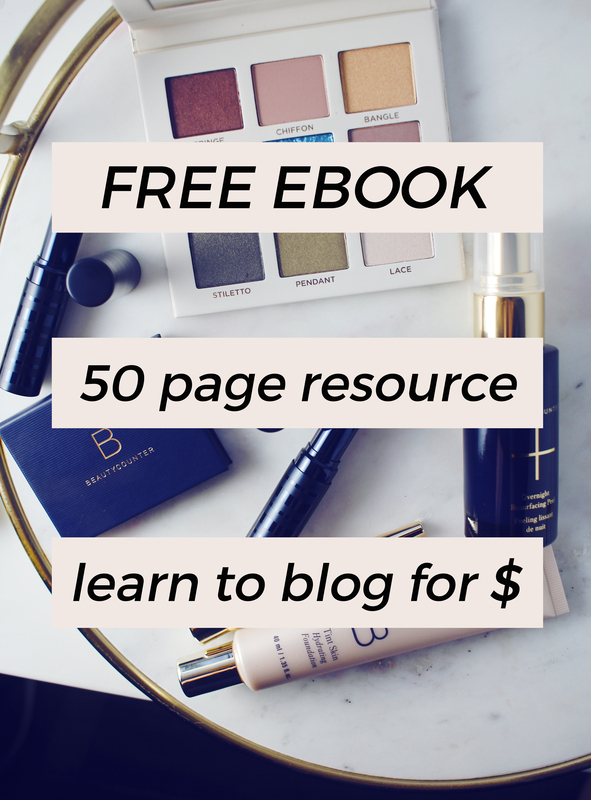 omgosh, these are too pretty for words! Totally gorgeous! 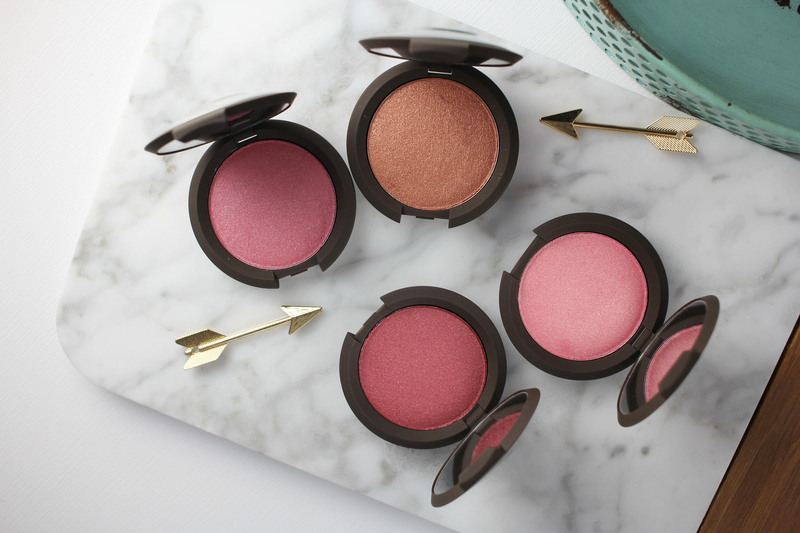 These blushes are everything! Gorgeous! Camellia is my fave! What a beautiful, glowy pink!! !